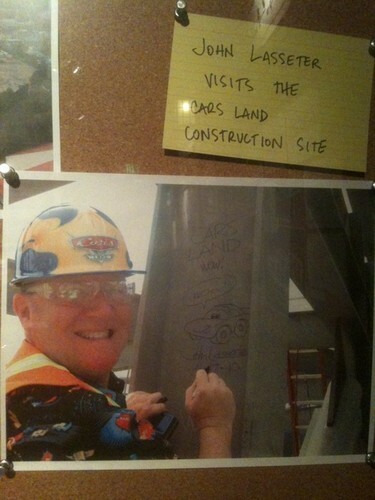 John Lassater at Carsland Construction Site, Disneyland Resort. . Wallpaper and background images in the डिज़्नी पिक्सार कार्स club tagged: cars john lassater carsland disneys california adventure california adventure disneyland disneyland resort.